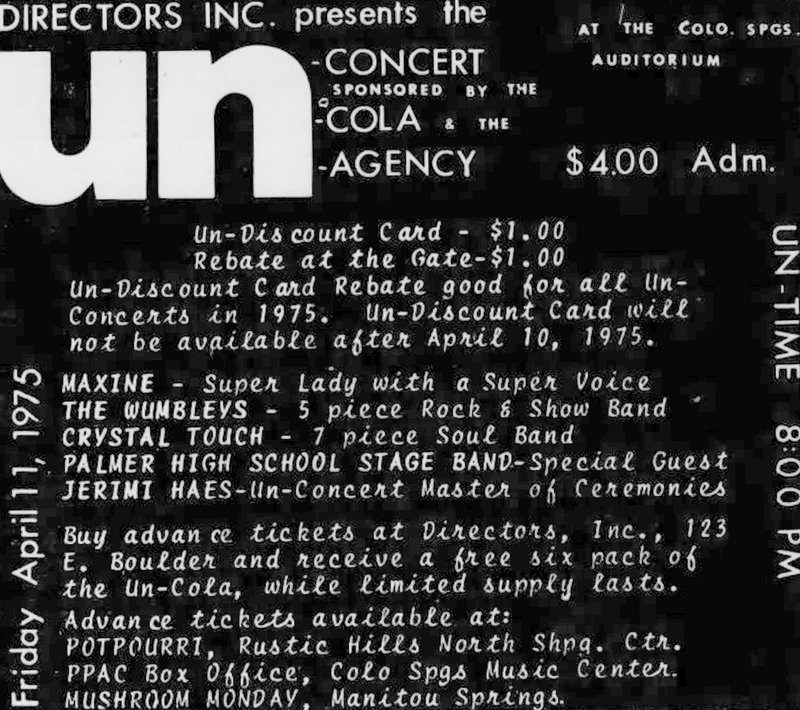 In all of my years of collecting state-made vinyl, this is now one of, if not the highest price ever paid for a Colorado-made record. 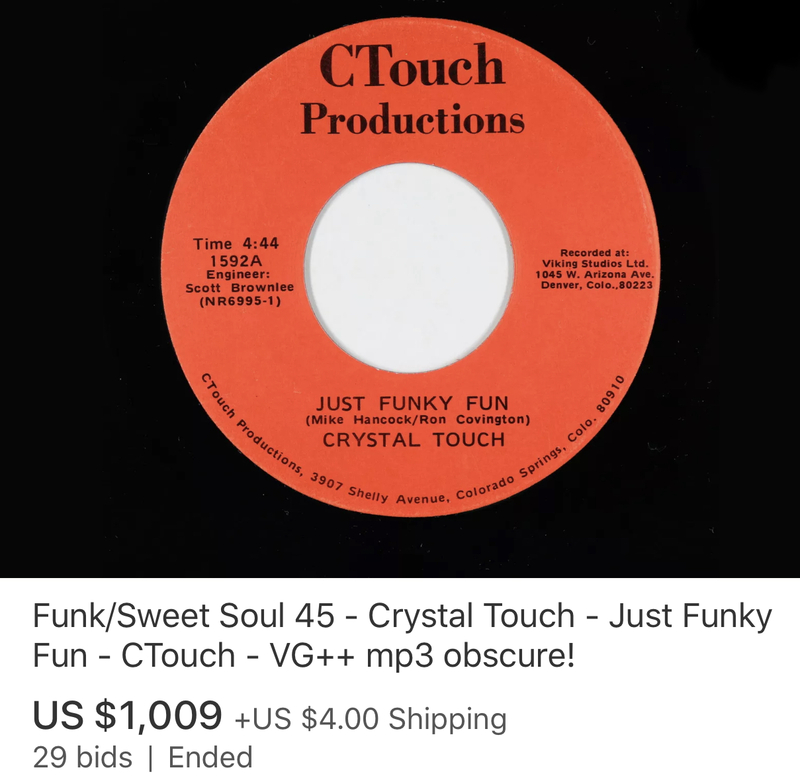 No, I was not the high bidder. 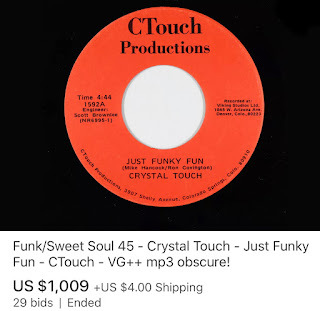 I actually had the opportunity to buy this record (YouTube), several years ago, for a whopping $50. I passed. A decision I have forever regretted, especially since I've dropped more than that on other Colorado vinyl finds. 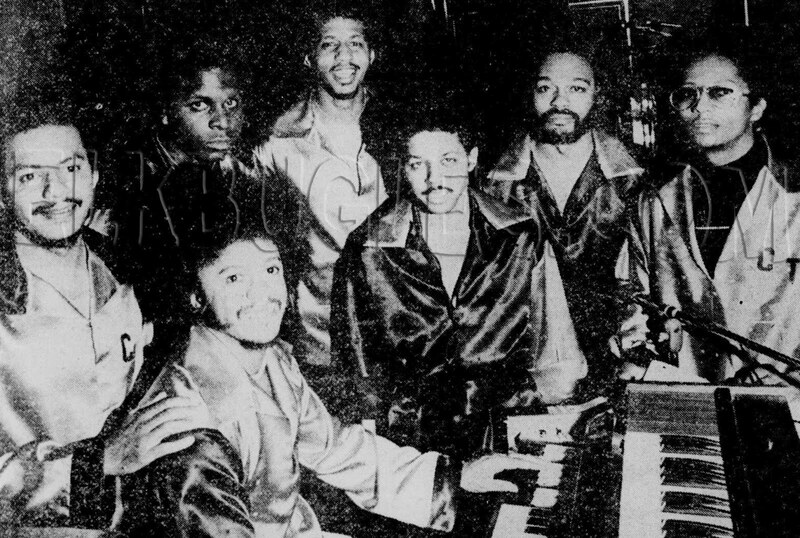 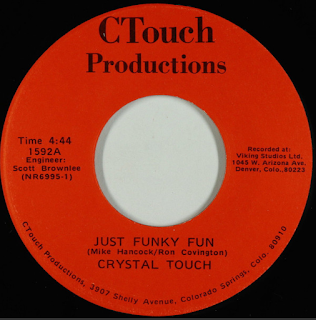 Formed in 1974, Crystal Touch was a local seven-member disco/funk group, who were regulars at Bell's Nightengale, on E. Las Vegas, south of downtown. In 1975, Crystal Touch was the headliner at the Un-Concert, held at the City Auditorium. 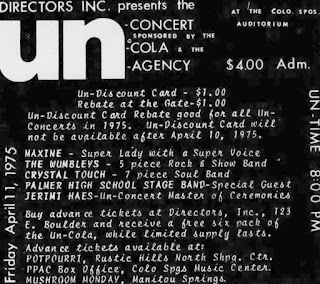 The concert also featured Maxine (no last name, but the picture below sure looks like Maxine Watta), The Wumbleys, described as a "five piece rock outfit," and the Palmer High School Stage Band. 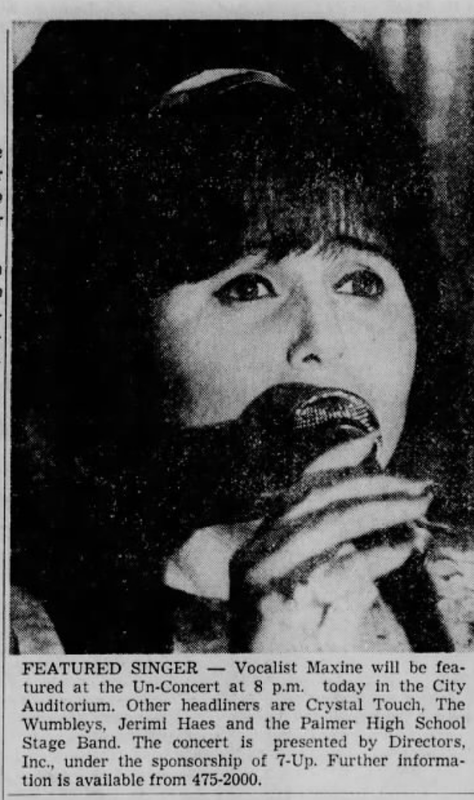 Jerimi Haes acted as the concert's emcee.